1: Doing good deeds feels good. My first stop on Saturday was Good Will. If you saw my Saturday post from November 9th you know I did some shopping at Good will. That visit inspired me to clean out my closet and donate clothes. 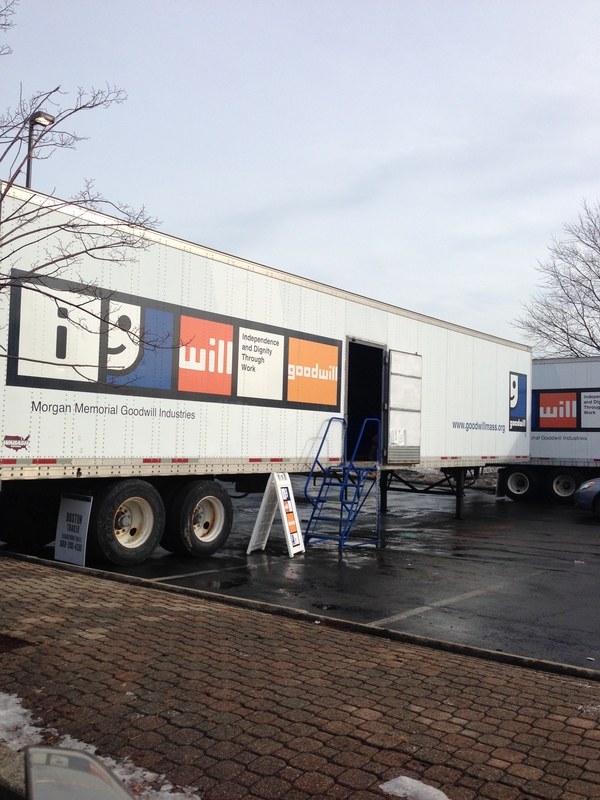 I finally got around to donating the clothes this past Saturday. I felt better about the state of my closet and I felt good about finding new homes for my gently worn clothes. 2: I am a fan of Kohl’s. I ordered a kettle from Kohl’s online a couple of weeks ago. My order was delayed due to inclement weather so Kohl’s sent me an apology and a $25 savings pass. I decided to use my pass to do some Christmas shopping for some kids in my family. Kohl’s always has great deals and reduced prices on their products plus if you sign up for emails you get savings passes. I used a 15% off coupon plus my $25 pass and got some great deals on the toys I bought. Plus I walked away with $10 in Kohl’s cash that I can use later. Kohl’s tagline is “expect great things” and you will get great things for a great price at Kohl’s. 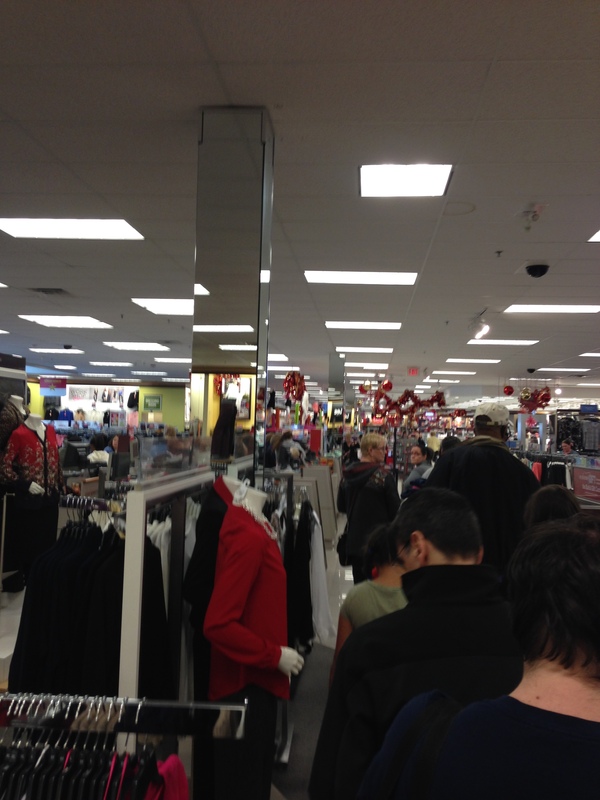 There was a long checkout line as expected the weekend before Christmas but it moved very quickly. I met a girl in line who bought a super cute dress for a wedding she was attending. 3: DO NOT go shopping at a mall the weekend before Christmas without a friend or a very good plan to deal with traffic. One of the perks of living in the city is that there are plenty of places to shop in walking distance or easily reached with a short trip via public transportation. 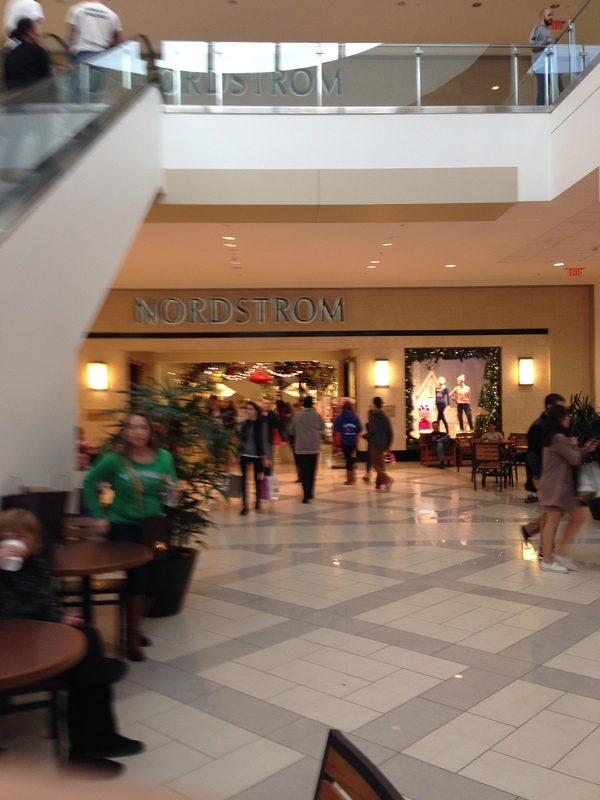 Unfortunately Nordstrom is outside the city and I needed to return a skirt I bought there online. I also had to buy a present for my brother so I headed to South Shore Mall after Kohl’s. It took me about 20 minutes to find a parking space and while I was driving around I saw a lot of cars parked in stupid spaces. 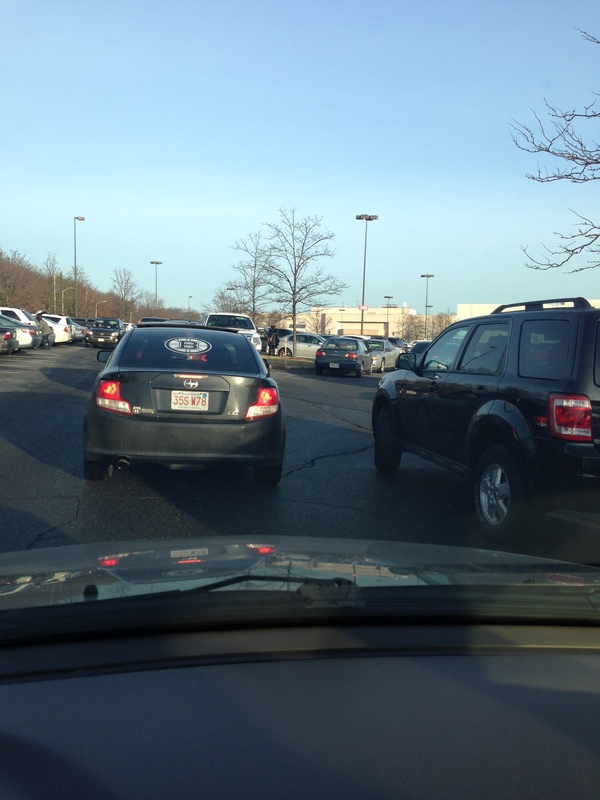 Once I found a space I could easily navigate through the mall and Nordstrom was close to the lot I parked in. The salespeople in Nordstrom were super friendly and helpful as usual. I returned my skirt and found a nice present for my brother. After Nordstrom I decided to quickly look for an item at Macy’s. 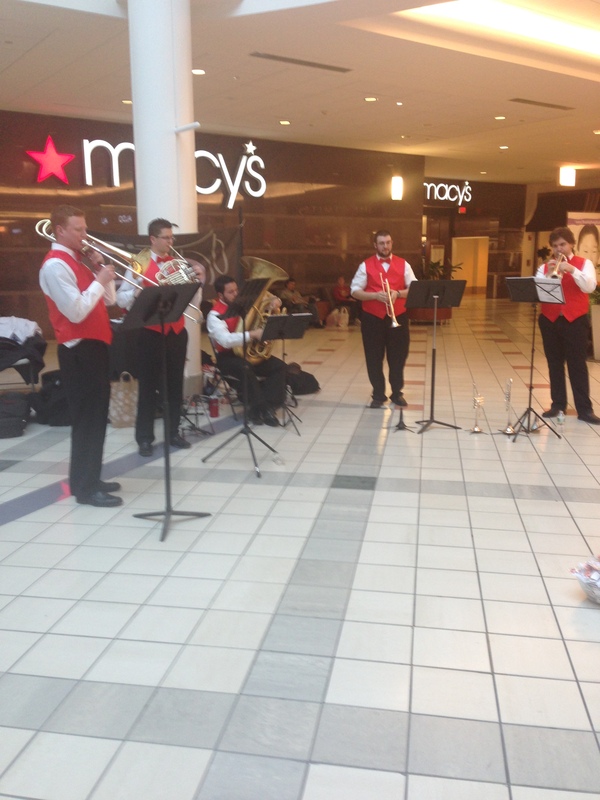 There was a nice little concert outside Macy’s. I didn’t find what I was looking for and decided I’d better head home. Easier said than done; it took me almost an hour to get out of the parking lot! The long exit would have been less miserable with a friend or a good book on tape. I was not prepared for the frustrating exit but I eventually got out and the traffic home wasn’t too bad. Take some time to do something good during the holiday season. Donate clothes or money to a favorite charity or organization or maybe just buy someone a cup of coffee. Doing a good deed will put you in the holiday spirit. If you’ve never shopped at Kohl’s check it out. Kohl’s has great deals and great products. If you are going to try to do some last minute shopping at a mall before Christmas be prepared. Seriously, be prepared with an emergency kit filled with snacks, etc. 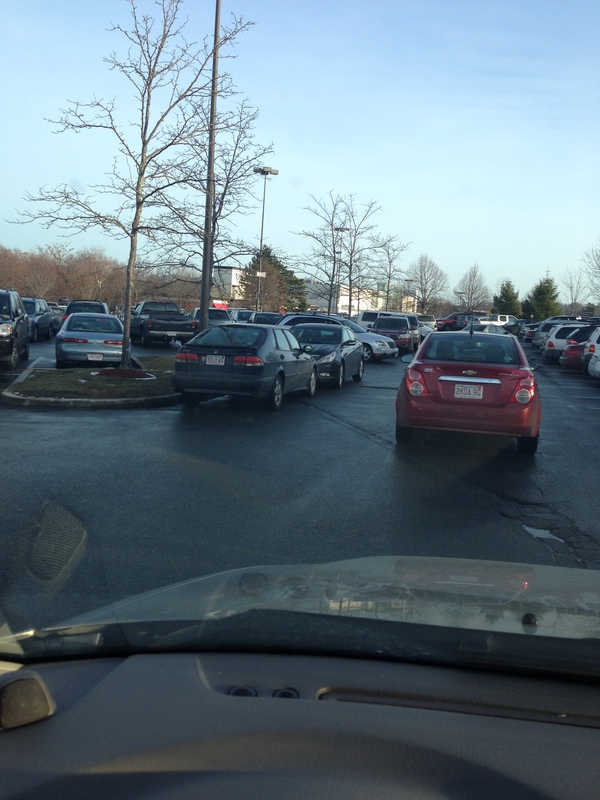 Also you need to be patient and maybe learn some relaxing breathing techniques especially if you are going to try to park at the mall. Wishing you much happiness (and little frustration) this holiday season!